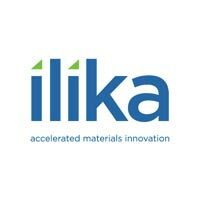 Ilika plc (LON: IKA), the advanced solid-state battery technology company, announced it has increased, by a factor of three, the volumetric energy density (its highest ever) of its mm-scale Stereax solid-state batteries by introducing wafer-thinning technology into its manufacturing workflow to yield ultra-thin cells. Ilika’s mm-scale battery, code-named Golden Hind, is designed for miniature medical implants, which account for about 50% of the current commercial opportunities in Ilika’s licensing pipeline. The cells are fabricated on standard semiconductor industry wafers using Ilika’s proprietary vacuum deposition technique. The cells are etched from the materials deposited on the wafer and singulated using standard industry back-end processing techniques. lIika has developed the materials and process technologies to make these cells on its pilot line in Southampton, UK and to align with customer demands. The latest batteries were thinned using back-end processes common to the semi-conductor industry. This crucial manufacturing step will produce ultra-thin solid-state batteries about 250 um in thickness, which is not much thicker than a postage stamp.